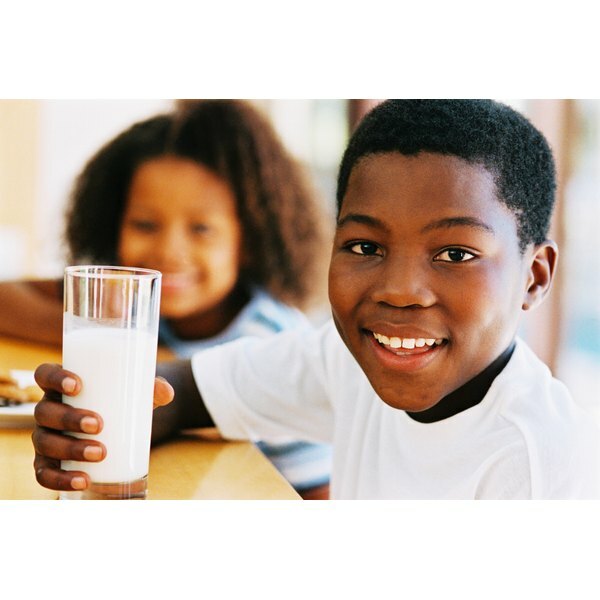 Lactose intolerance can begin at 2 years of age but may not show symptoms until adolescence or adulthood. It’s caused by insufficient enzymes in the gut that digest lactose, a sugar found in milk and milk products. Lactose intolerance doesn’t produce any skin symptoms, but a milk allergy can. Lactose intolerance shows up as digestive symptoms including nausea, abdominal pain and bloating, gas and diarrhea, according to the National Digestive Diseases Information Clearinghouse. Milk allergies are commonly mistaken for lactose intolerance, but it is important to recognize their differences. A milk allergy causes a reaction in the immune system that can be fatal in extreme instances. Along with severe symptoms such as wheezing and trouble breathing, it can have milder symptoms of hives, rashes, itching and swelling. If you have any of the symptoms of a milk allergy, seek medical care immediately. Mild allergy symptoms may turn into more severe ones.